Earlier this week, I wrote about my kaddish community. You can read that post here. Since then, the worst wildfires in Israel’s history have wreaked havoc on land and communities in the north, and have taken more than 40 lives. No doubt when my kaddish community gathers together tomorrow morning in the Morse Chapel at Temple Shaaray Tefila, these words from the G’vurot—Mashiv haruach umorid hagashem (You cause the wind to blow and the rain to fall)—will resound especially loudly. 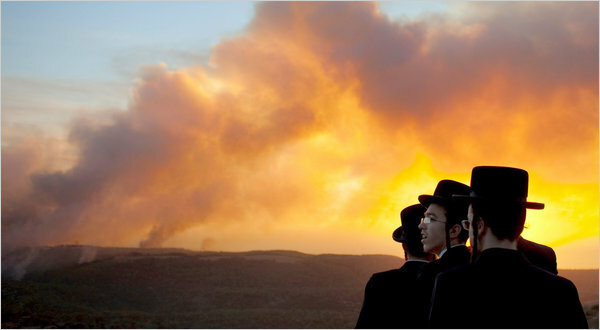 This Shabbat, may God bring rain to Israel’s parched, fire-ravaged land and healing to her people. Amen.